The need to keep a field workforce engaged in the service business plan. The key word is engagement; field workers have a natural tendency to feel detached from the home office and we unfortunately rely too much on email communication to update teams on objectives, direction, recognition, and even specific tasks. Field teams must truly feel part of the team and clearly understand the objectives, their role, and measurements. With the pace of today’s business and changing top-level objectives, ensuring the customer-facing field technicians understand and support these objectives through their role is critical. Your MDM should address not just passing on the information, but establishing linkage between the techs role and alignment to the business objectives. Employees in general want to belong to something and connect their role to a sense of purpose and mission. As the field service industry competes for scarce skilled technicians, a field service career sense of purpose, role and mission can attract and retain top talent. Safety – Regardless of field service business, safety is a critical business element due to the amount of driving distances and working at customer sites. Certainly medical and heavy industrial field service businesses have even more difficult challenges preventing accidents. Effective safety management starts with employee engagement. We use techniques such as checklists and procedures to reinforce the JSA and training. While good actions, MDM can further engaged field service workers through workflow, images, just in time training, and manager-to-tech communications about the site or job at hand. Selling Services and Lead Generation – Design your MDM to enable fact-finding, equipment condition reports and using images, and capturing competitive equipment inventory. In my experience working with service organizations and training technician teams, there are many opportunities to use process and technology to become a trusted advisor and not be perceived as a salesperson. Most technicians have distaste for selling and of course as leaders our intention is to use good service as a sales technique. Mobile devices are perfect for image taking, completing equipment inspection or condition reports, and processing a lead for a sales person or service manager. Asset Tracking – For most service organizations, the service vehicle fleet is the second largest cost to technician labor. Asset tracking of the valuable service vehicles, inventory, test equipment and tools is another MDM element and excellent application for mobile devices. 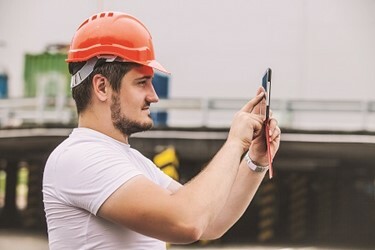 Knowledge Management, AR/AI, Connected Assets – The future of field service leverages the collective workforce knowledge content, and provides relevant content just in time for the field technician to quickly troubleshoot and resolve problems. MDM should start with organizing your knowledge assets and teams and connecting content to task types to reduce repair times, while improving employee satisfaction. With the limitation of available skilled technicians MDM is an integral part to effective on boarding and retention of highly skilled field technicians. With IoT and data analysis, the MDM becomes a proactive plan to improve service delivery costs and customer experience. Mobile Digital Mission is a pivotal element of the field service business plan to address organizational engagement, safety, sales and lead generation, asset tracking and cost effective service delivery. MDM is necessary service business thinking beyond automating the work order. Bruce Breeden is the author of the book, The Intentional Field Service Engineer, and creator of the Field Service7℠ development program. As president of Field Service Resources, LLC he partners with field service leaders to improve human performance and develop organizations.